Mutual respect is the foundation of genuine harmony. 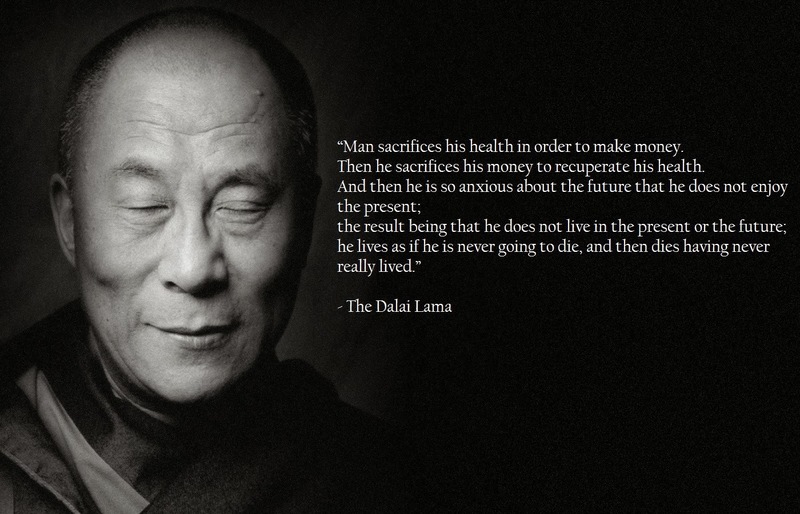 -The Dalai Lama 1935…..
Heze Shenhui (Chinese:菏泽神會/神会; Wade–Giles: Shen-hui; Japanese: Kataku Jinne, 684-758) was a Chinese Buddhist monk of the so-called “Southern School” of Zen and the dharma heir of Huineng…..
At the age of 14 he became a monk under Huineng, a disciple of Hongren and the founder of the Southern School of Zen. For a time Shenhui served as his attendant. Shenhui then said, “It is the source of all things. It is the Buddha Nature of Shenhui”. Shenhui later went to Changan to receive ordination. Shunryu Suzuki (鈴木 俊隆 Suzuki Shunryū, dharma name Shōgaku Shunryū 祥岳俊隆, often called Suzuki Roshi) (born May 18, 1904, Kanagawa Prefecture of Japan; died December 4, 1971 in San Francisco, California, U.S.A.) was a Sōtō Zen monk and teacher who helped popularize Zen Buddhismin the United States, and is renowned for founding the first Buddhist monastery outside Asia (Tassajara Zen Mountain Center). Suzuki founded San Francisco Zen Center, which along with its affiliate temples, comprises one of the most influential Zen organizations in the United States. A book of his teachings, Zen Mind, Beginner’s Mind, is one of the most popular books on Zen and Buddhism in the West. The highest truth is daiji, translated as dai jiki in Chinese scriptures. This is the subject of the question the emperor asked Bodhidharma: “What is the First Principle?” Bodhidharma said, “I don’t know.” “I don’t know” is the First Principle. is more than just a man to be admired, he is the teacher we all need. My brother, of whom I have previously spoken, held him in high regard and while researching the quote from the book I gave my brother; I have come to understand his admiration. 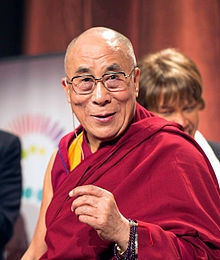 “His Holiness the XIVth Dalai Lama, Tenzin Gyatso, is the spiritual and temporal leader of the Tibetan people” In 1989 he was awarded the Nobel Peace Prize and joined many other peaceful, wise, compassionate, giving and Harmonious people that share that award. Not thinking about anything is Zen. Once you know this; walking, standing, sitting, or lying down, everything you do is Zen. Bodhidhasrma was a Buddhist monk who lived during the 5th or 6th century. He is traditionally credited as the transmitter of Chan Buddhism to China, and regarded as its first Chinese patriarch. According to Chinese legend, he also began the physical training of the monks of Shaolin Monastery that led to the creation of Shaolin Kung Fu. In Japan, he is known as Daruma. As you many know I am reviewing a book I gave my Buddhist Brother a few months before he died and posting the quotes and proverbs that were printed in margins on several of the pages. The quote from the First Zen Master above started me on an evening of research into the life and legends of Bodhidhasrma and the several links listed on this post are the results of my searching. and then finally pictures of The Master and my brother. The festival of Obon lasts for three days; however its starting date varies within different regions of Japan. When the lunar calendar was changed to the Gregorian calendar at the beginning of theMeiji era, the localities in Japan reacted differently and this resulted in three different times of Obon. “Shichigatsu Bon” (Bon in July) is based on the solar calendar and is celebrated around 15 July in eastern Japan (Kantō region such as Tokyo, Yokohama and the Tohoku region), coinciding with Chūgen. “Hachigatsu Bon” (Bon in August) is based on the lunar calendar, is celebrated around the 15th of August and is the most commonly celebrated time. “Kyu Bon” (Old Bon) is celebrated on the 15th day of the seventh month of the lunar calendar, and so differs each year. “Kyu Bon” is celebrated in areas like the northern part of the Kantō region, Chūgoku region, Shikoku, and the Okinawa Prefecture. These three days are not listed as public holidays but it is customary that people are given leave. How limitless the sky of unbounded Freedom! How pure the perfect moonlight of wisdom! When he was 8 years old, Hakuin heard a fire-and-brimstone sermon on the torments of the Hell Realm. The terrified boy became obsessed with hell and how he might avoid it. At the age of 13 he decided to become a Buddhist priest. He received monk’s ordination from a Rinzai priest at the age of 15. As a young man Hakuin traveled from one temple to another, studying for a time with several teachers. In 1707, at the age of 23, he returned to Shoinji, the temple near Mount Fuji where he had first been ordained. That winter, Mount Fuji erupted with force, and earthquakes rocked Shoinji. The other monks fled the temple, but Hakuin remained in the zendo, sitting in zazen. He told himself that if he realized enlightenment the buddhas would protect him. Hakuin sat for hours, absorbed in zazen, as the zendo trembled around him. The following year, he traveled north to another temple, Eiganji, in Echigo Province. For two week he sat zazen through the nights. Then one morning, at the break of dawn, he heard a temple bell in the distance. The faint sound rang through him like a thunderclap, and Hakuin experienced realization. According to Hakuin’s own account, the realization filled him with pride. No one in three hundred years had experienced such a realization, he was certain. He sought out a highly regarded Rinzai teacher, Shoju Rojin, to tell him the great news. But Shoju saw Hakuin’s pride and would not confirm the realization. Instead, he subjected Hakuin to the harshest possible training, all the while calling him a “cave-dwelling devil.” Eventually Hakuin’s understanding matured into deeper realization. Hakuin became abbot of Shoinji at the age of 33. The old temple had been abandoned. It was in a state of disrepair; furnishings had been stolen or pawned. Hakuin at first lived there by himself. Eventually monks and laypeople began to seek him out for teaching. He also taught calligraphy to local youth. It was at Shoinji that Hakuin, then 42 years old, realized his final enlightenment. According to his account he was reading the Lotus Sutra when he heard a cricket in the garden. Suddenly the last of his doubts resolved, and he wailed and wept. Later in his life, Hakuin became abbot of Ryutakuji, today a highly regarded monastery in Shizuoka province. The Rinzai school in Japan had been in decline since the 14th century, but Hakuin revived it. He so thoroughly influenced all Rinzai teachers who came after him that Japanese Rinzai Zen can also be called Hakuin Zen. As did the great Ch’an and Zen teachers before him, Hakuin stressed zazen as the most important practice. He taught that three things are essential to zazen: great faith, great doubt, and great resolve. He systematized koan study, arranging the traditional koans into a particular order by degree of difficulty. Hakuin initiated koan study with a new student with a koan he created — “what is the sound [or voice] of one hand?” Often incorrectly translated as “the sound of one hand clapping,” Hakuin’s “one hand,” or sekishu, is probably the most famous Zen koan, the one people have heard of even if they have no idea what “Zen” or “koans” are. For Hakuin, art was a means to teach the dharma. According to Hakuin scholar Katsuhiro Yoshizawa of Hanazono University in Kyoto, Japan, Hakuin probably created tens of thousands of works of art and calligraphy in his life. “Hakuin’s central concern as an artist was always on expressing Mind itself and Dharma itself,” Professor Yshizawa said. * But mind and dharma are beyond the realm of shape and appearance. How do you express them directly? Hakuin used ink and paint in a variety of ways to reveal the dharma in the world, but his work overall is striking for its freshness and freedom. He broke with conventions of the time to develop his own style. His bold, spontaneous brush strokes, as exemplified in his several portraits of Bodhidharma, came to represent popular ideas of Zen art. He drew ordinary people — soldiers, courtesans, farmers, beggars, monks. He made common objects like dippers and handmills into subjects of paintings. The inscriptions with his paintings sometimes were taken from popular songs and verses and even advertising slogans, not just Zen literature. This also was a departure from Japanese Zen art of the time. Professor Yoshizawa pointed out that Hakuin painted — a twisted loop with one side — a century before they were supposedly discovered by August Mobius. He also painted paintings within paintings, in which subjects in his paintings are relating to another painting or scroll. “Hakuin was, in effect, working with modes of expression similar to those devised two centuries later by Rene Magritte (1898-1967) and Maurits Escher (1898-1972),” Professor Yoshizawa said. “Is That So?” An unmarried girl who lived near Hakuin’s temple was found to be pregnant. Her outraged parents demanded to know the father of the baby. The girl wanted to protect her lover, so she accused Hakuin — by then an old man — of seducing her. When the baby was born, the parents confronted Hakuin. They demanded he take care of the child since he was the father. “Is that so?” was all Hakuin said. But he took care of the baby for several months. Then the embarassed girl confessed that the father was a young man in the village. The girl’s parents went to Hakuin and asked to have the baby back. Hakuin gave them the baby. “Is that so?” was all he said. “Who are you?” asked Hakuin. Nobushige took the point, sheathed his sword, and bowed. “Here open the gates of heaven,” said Hakuin. *Talk by Professor Yoshizawa at the Hakuin Forum: The Hidden Message of Hakuin’s Zen Paintings, the Asia Society, New York, NY, March 13, 2009.